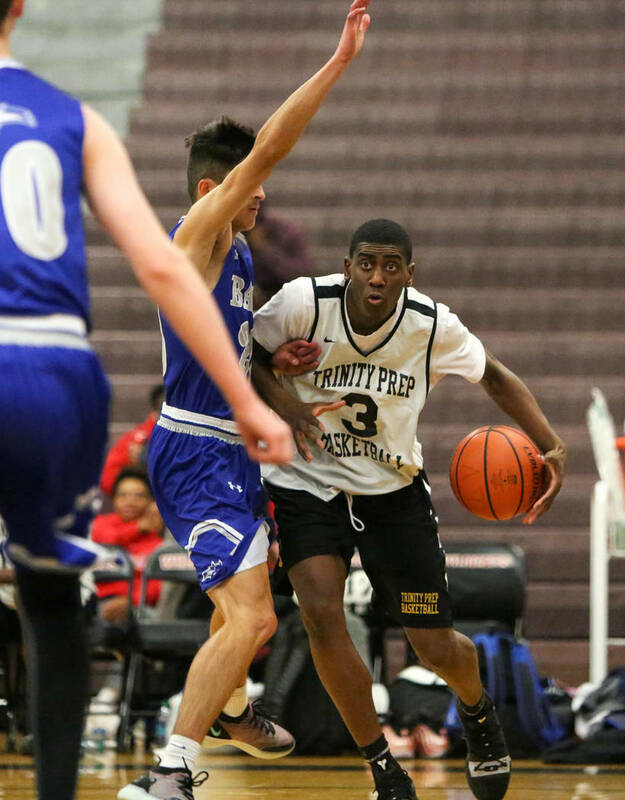 Daishen Nix finished with 15 points, 10 rebounds, nine assists, three steals and a blocked shot to lead Trinity to a 71-27 first-round win over Basic in the Las Vegas Prep Championship on Wednesday. The best player on the floor made one basket in the first half. But points don’t even begin to tell the story. 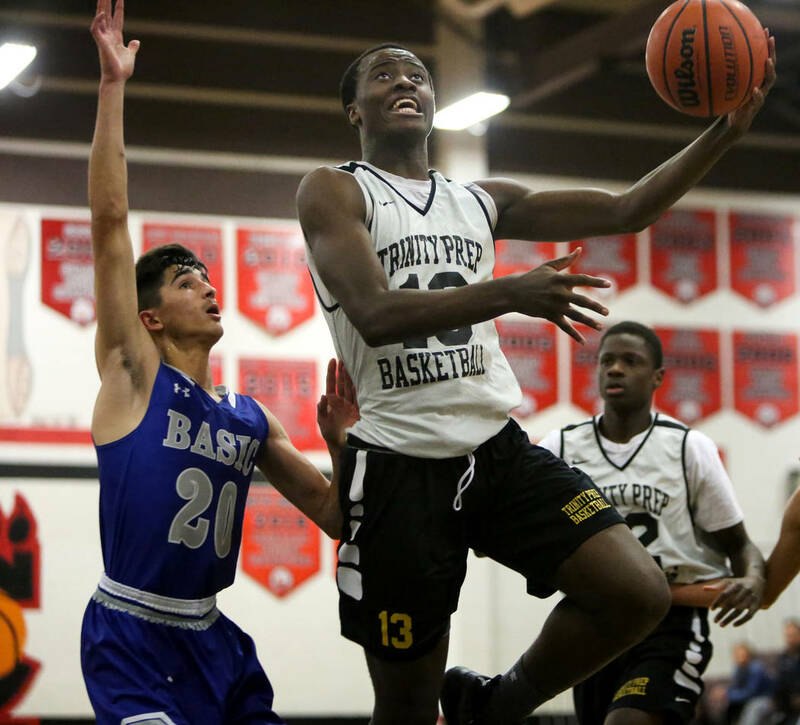 Trinity point guard Daishen Nix had eight assists in the first half alone to lead the Thunder to a 71-27 first-round victory over Basic in the Las Vegas Prep Championship on Wednesday at Las Vegas High. Nix, who has developed into one of the top players in the junior class, finished with 15 points, 10 rebounds, nine assists, three steals and a blocked shot. Trinity led 46-16 at halftime, so the only intrigue was how many assists Nix might end up with. And the game’s biggest disappointment might have come when Jose Cuello’s 3-pointer rimmed out with about five minutes to play. Had it gone in, it would have completed a triple double for Nix, who checked out of the game moments later. 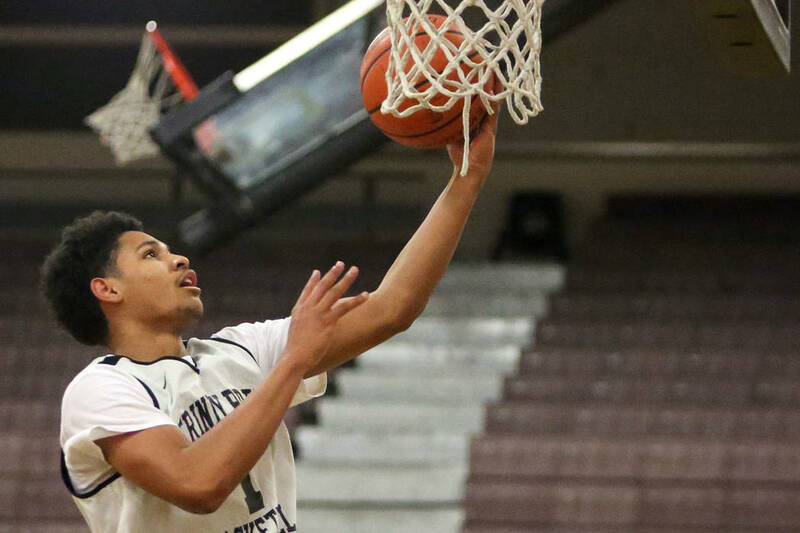 Nix has made huge strides since arriving at Trinity from Alaska as a freshman. Lockridge said his point guard was overmatched at times that season, but that’s not the case anymore. 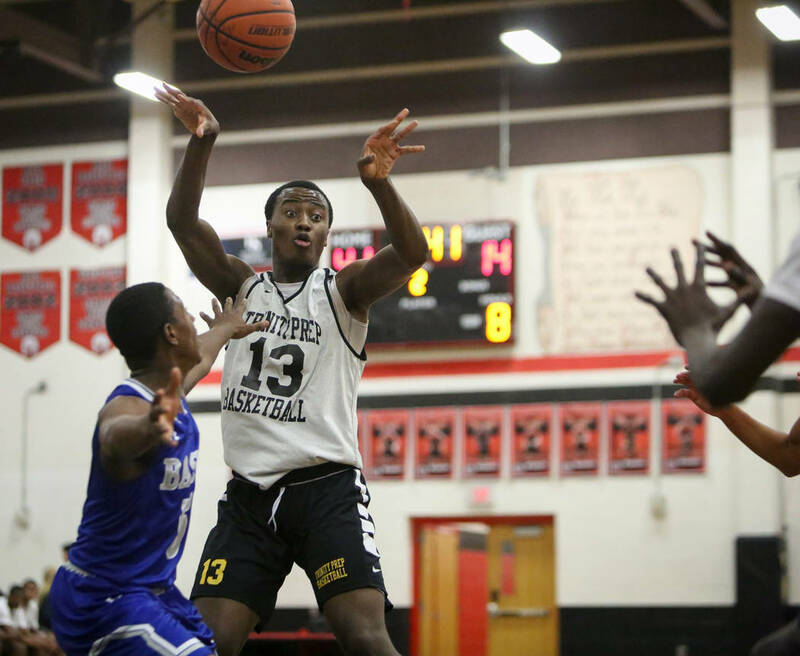 Cuello scored 15 points and Zaba Bangala had 12 points and six rebounds for Trinity, which forced 30 turnovers. Kalauini Keyes led Basic with eight points. Foothill 88, Aliso Niguel (Calif.) 81 — Collin Russell scored 27 points as the Falcons topped the Wolverines in overtime. Dylan Hushaw added 24 points, and Caleb Stearman scored 22 for Foothill, which was 24-for-27 from the free-throw line. 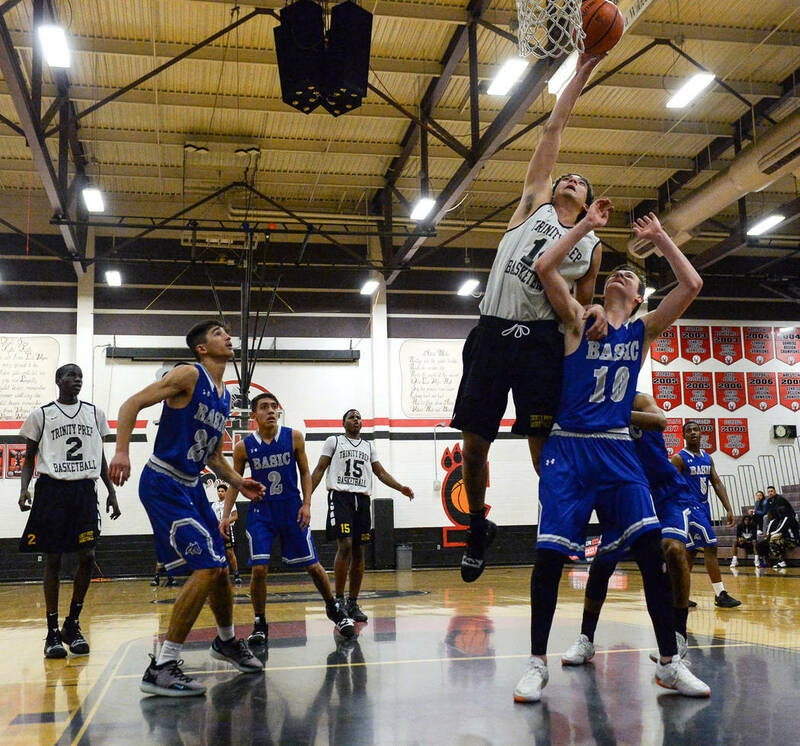 Jack Nadon scored 18 to lead Aliso Niguel, which made 17 3-pointers. Silverado 53, Mountain View (Utah) 40 — Martell Williams had 16 points to lead the Skyhawks over the Bruins. Trevon Martin added 13 points, seven rebounds and three steals for Silverado, which outscored Mountain View 21-12 in the fourth quarter. Myles Daniels had nine points and nine rebounds for Silverado. Mountain View pulled within a point at 32-31 on a 3-pointer by Ben Mella with 7:25 to play, but Silverado answered with a 7-2 run to retake control. Tai White led the Bruins with 15 points. Eldorado 49, Centennial (Ariz.) 45 — LeLenn Ross had 14 points as the Sundevils beat the Coyotes. Jalen Malone added 10 points for Eldorado, which trailed 31-23 at the half. 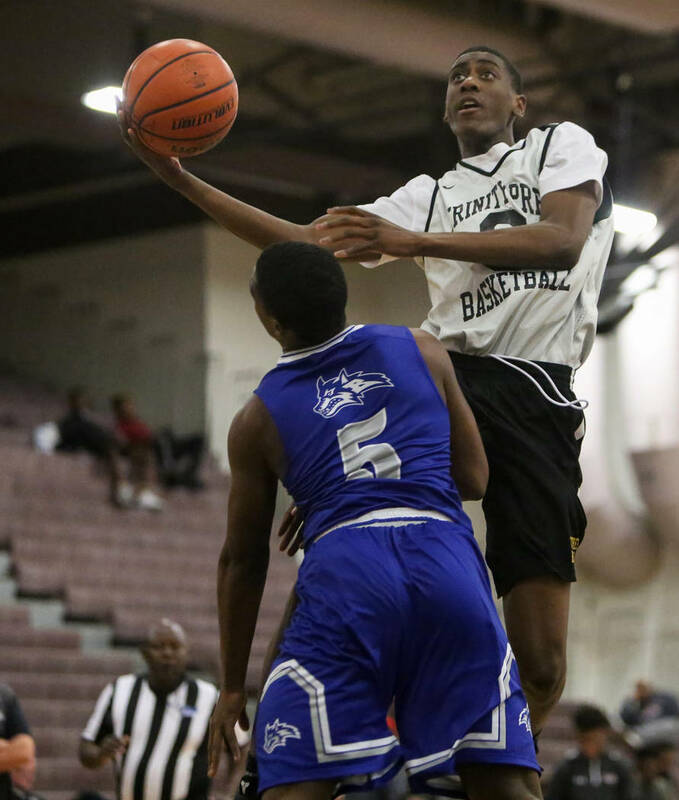 Golden Valley (Calif.) 66, Las Vegas 62 — Brandon Nole had 19 points, including the go-ahead 3-pointer with about four minutes to play, as the Grizzlies beat the Wildcats. Nole’s 3-pointer gave Golden Valley a 58-56 lead, and he followed that with a steal and a basket to push the lead to four. Jaylin Headen led Las Vegas with 19 points, seven rebounds and two blocked shots. Tavionte Jackson added 15 points, five rebounds and five assists, and Elijah Sem had 11 points and five assists for Las Vegas. Cypress (Calif.) 68, Chaparral 53 — Anthony Tello poured in 26 points to lead the Centurions over the Cowboys. Sameal Anderson led Chaparral with 14 points, and Meshach Hawkins and Dejonte Allen each scored 12 for the Cowboys. Gilbert Christian (Ariz.) 74, Spring Valley 62 — Trey Donaldson scored 24 points as the Knights beat the Grizzlies. Michael Martin led a balanced attack for Spring Valley with 14 points. Jahlani Blair added 12 points, and A’mari James scored 11 for the Grizzlies, who trailed 34-31 at the half. Tampa Catholic (Fla.) 76, Western 53 — Kobe Knox poured in 37 points as the Crusaders defeated the Warriors. Johni Broome added nine points and 11 rebounds for Tampa Catholic. James Wade scored 17 points to lead Western. Gawain Powell scored all 12 of his points in the second half and added seven rebounds for Western.